Trenton, NJ – Gnural Net has now been officially accepted into the NewTek 3rd Party Development Network. This network offers product developers access to NewTek’s market insights and technical resources to help streamline 3rd party integration with NewTek’s family of products. Look for new TriCaster specific features to be added to GNURON and LiveToAir in the near future. John Mahoney is Founder and CEO of Gnural Net, focusing on the strategic vision and product roadmap for the company. 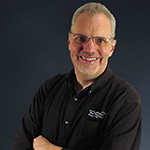 John has over 25 years experience transforming emerging technologies into innovative solutions. He has been a founding member of multiple startups in the New York City area, including Multex.com (sold to Reuters in 2002) and InfoNgen (sold to EPAM in 2011). John holds a BS degree from Columbia University's School of Engineering and Applied Science.